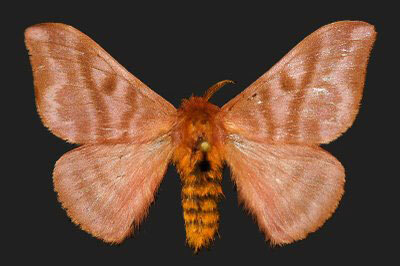 The hollow hairs (setae) of the Hylesia alinda moths found in Cozumel can cause cutaneous lepidopterism, or a contact dermatitis (a pruritic, urticarial eruption) called “Caripito Itch,” after Caripito, Venezuela where it was first recorded. These tiny hairs carry a toxic mix of histamines and proteases within their hollow shaft and if they come in contact with bare skin they can envenomate. Touching the moth is not needed to be affected; the hairs can float free and come in contact with a person who is simply walking by as the hairs drift on the breeze. H. alinda moths are nocturnal and have a breeding cycle of 3 months, so they appear in clusters around each breeding period. The large moths have up to a 4-inch wingspan and often congregate around porch lights at night, which is where people most often come into contact with them. Pramoxine Hydrocloride: Zocort®.Mupirocin: Bactroban® ointment. Tetracaine: Altacaine®. Lidocaine 2%: Dilocaine®, Lidoject-2®.